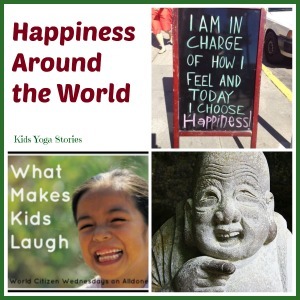 Our Multicultural Kid Blogs Carnival this month is celebrating Happiness Around the World. We are exploring what happiness means to different people around the world. What makes families happy? How is happiness defined in different cultures? What activities, rituals, or experiences make us happy? Jonathan shares about the happiness he felt after his wife gave birth to their son. He also describes other topics from his perspective as a dad, such as work-life balance, wealth, exercise, sleep, and setting goals. Ute points to the research of happiness and a few excellent TED talks on the science of happiness. For her, it is living in the present moment, practicing mindfulness, that brings her joy. Ute asked her children what makes them happy. Her son enjoys reading and playing with friends, while her daughter loves an active lifestyle with family and friends. 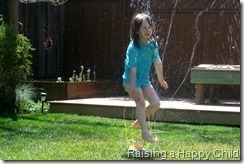 She describes a happy moment together as a family laughing and playing in their backyard pool. Lastly, she shares that happiness is a choice, something that we can make a daily habit. Olga writes about her reflections as a busy mom to three children and a successful blogger. She describes how she puts everything aside and simply connects with her baby. She learns how taking deep breaths and “disconnecting in order to connect with her children” makes a huge difference. Her life becomes more calm and she has more patience with her family. Annabelle describes five examples from the past week that made her happy. 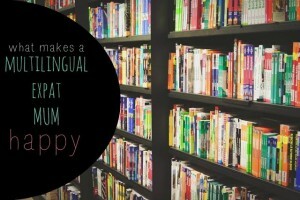 She is raising her children to be tri-lingual so listening to them speaking in the different languages brings her joy, as well as finding a tri-lingual babysitter. It’s the simple pleasures of raising our children that brings us happiness. Stephen shares the happiness that his family enjoys together, including going to the farm, going out for walks, and playing around with the three of them. But their happiest moments are dancing together. The music and movement get them all laughing and bonding as a family, the essence of happiness. Daria shares her family’s Native American tradition of drumming and dancing at pow-wows. It is the heartfelt connections and dancing to the drums that brings happiness to her family. 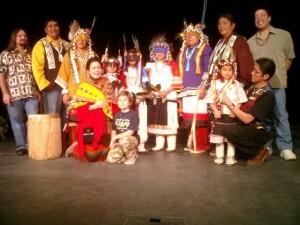 She offers a few tips on attending a pow-wow and encourages us to join in our local Native American celebrations. Natalie shares the recent article in the Time magazine on the pursuit of happiness. The article points to happiness as being the ability to live in the moment, and not be focused on the past or future. Natalie asked her daughter about what makes her happy. Her daughter describes simple moments of reading a book, watching a movie, and playing games that brings her joy. She goes on to say that their family aims to savor the moment and enjoy just being together. Leanna asks bloggers from across the world about what makes their children laugh. Ten moms tell how their children laugh at the silliest things in life. They see the world through innocent eyes and don’t take anything too seriously. A great reminder that we as adults can lighten up and have fun too. Rebecca shares how she went through a period of reflection and thought about how she could bring more happiness to her life. She decided to focus on the positive. 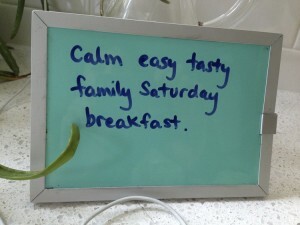 She purchased four mini-white boards, one for each family member. Each day, everyone writes down something that they are grateful for that day. Rebecca takes pictures of the whiteboards so she has a library of positive statements on her iPhone to take wherever she goes. What a simple, brilliant idea. Stephanie shares a heartfelt, moving story of how her family perceived happiness when she was growing up. 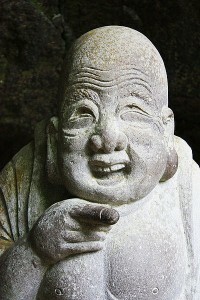 Happiness was linked to material possessions. Now, as a mom, she has transformed her relationship to happiness and taken on a healthy approach of “choosing” happiness. Stephanie’s family has a ritual that every night before bed, each family member says what they are grateful for that day. The only rule is that no one can be interrupted as they are sharing their gratitude. 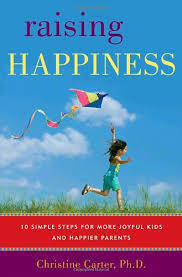 It is a powerful practice that has proven to have lasting effects on children learning to make happiness a daily habit. Stephanie also refers to a fabulous book that I loved as well, Raising Happiness by Christine Carter. The book points to recent research on the positive effects of family dinners. The research is profound and the book is definitely worth a read. Tell us, what’s your story? We would love to hear from you. Email me at giselle at kidsyogastories dot com or connect via Facebook, Twitter, or Pinterest. This is a topic near and dear to my heart. Hope you found some inspiration in these articles.